Spent the afternoon getting the car off the ground (Jenga-styled "plan B") and cleaning up the giant puddle of ATF that had appeared over the last few days. 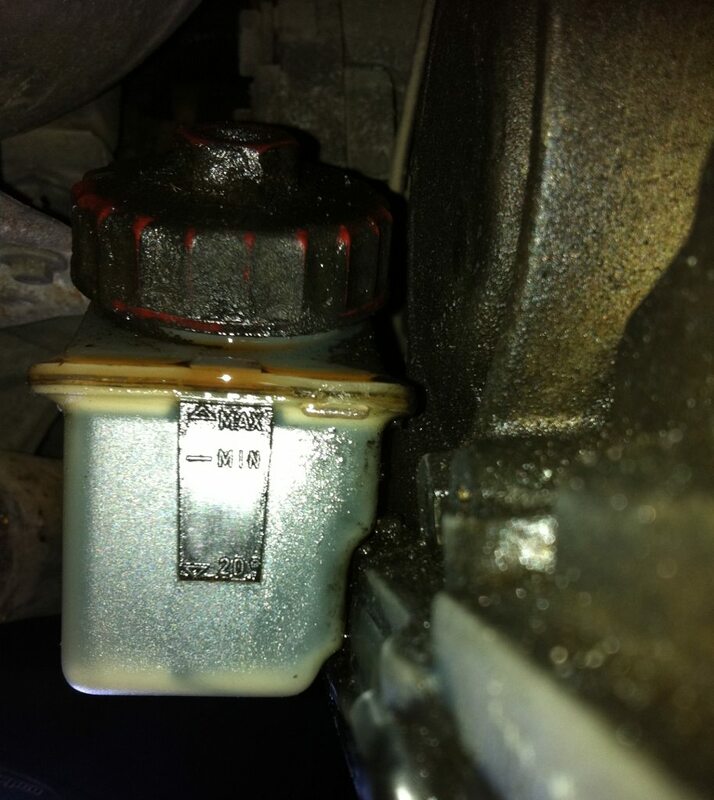 Then spend some time cleaning up around the gearbox so I could try and track down the leak. As far as I can tell, it seems to be coming from the top of the plastic tank (see second pic). Which seems strange to me. Given it's been sitting around neglected for a number of months now, why is there suddenly so much extra ATF around that the tank overflows? Resulting drips coming off the bottom (formed in the space of maybe 20 mins to half an hour) shown in the third pic. Finally, somewhat unrelated, is there any intentional special coating on things under the car that would be stripped easily with turps? While waiting for the drips to show up after cleaning around the gearbox I started cleaning a few other things, easily visible in the 4th picture. There's the black paint on the gearbox which is turps-proof. There's black gunk on the housing forward of it which comes off easily with turps and I'm pretty sure isn't supposed to be there. There's also a brown film on this housing, which also comes off pretty easily, but is everywhere. 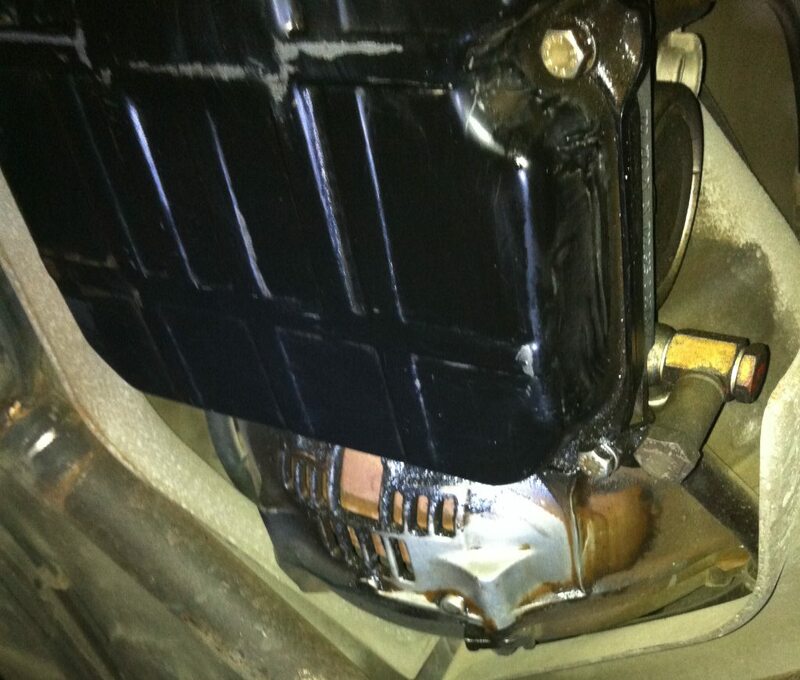 I'm guessing this is just 50,000 km worth of exhaust fumes or something, or is it actually supposed to be there? 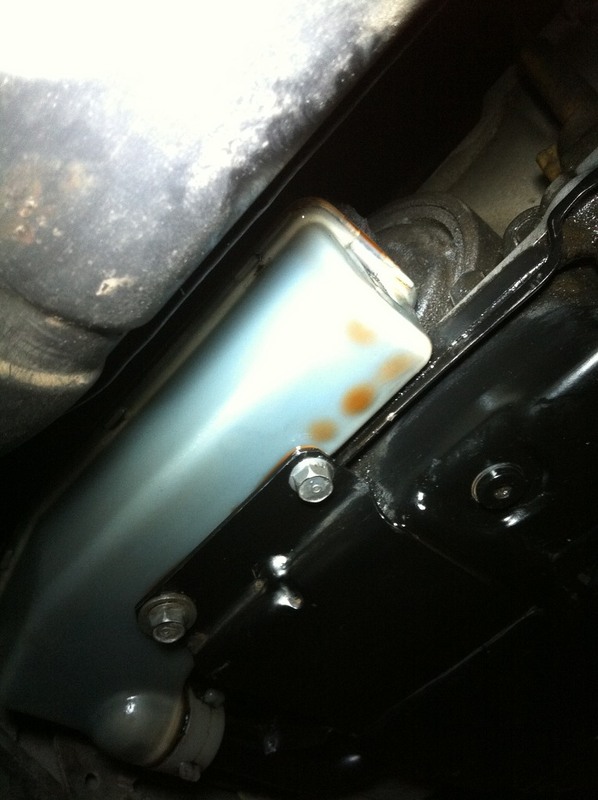 the yellow /brown stuff is cosmoline it was sprayed on at the factory to protect the underbody from corrosion. The leaking from the reservoir could indicate a cracked tank where the vent hose connects. The tank filling up is the result of the engine not being run and the ATF is simply draing back into the pan area from the torque converter and cooler lines. then remove the hose from the transmission body with bent needle nose pliers leve the hose on the tank as its easy to snap off the fitting then remove the tank from the pan, yes it will leak but the other option is to remove the pan and tank as a unit clean up the tank and inspect the top vent for a cracked fitting or loose hose if the hose is loose you could try a few small zip ties or fitting some mechanics wire , the hose is very thick wall but it has a small opening. This is a common situation for 928s that are not driven on a regular basis. These type of posts show up here every spring time, as consistently as the swallows returning to Capistrano. Search thread titles for transmission leak and you'll see what I mean. If it was me, I'd just top off the trans fluid (using the proper procedure), then just get in the habit of starting the car every couple weeks, shifting it into forward and reverse gears (with brakes applied) long enough for the torque converter to refill, then you're done. The car should be driven at least once every two months, long enough to bring all systems up to full operating temperatures to remove any accumulated condensation. Quick Reply: ATF leak or overflow?